The Interactive Digital Media (IDM) Fund is an Ontario government grant that offsets a portion of costs directly related to concept definition and production projects. Through this program, digital media developers can leverage government funding to accelerate their growth. This helps get products to market faster so that the company can generate revenues and continue developing innovative media projects. Through the Interactive Digital Media Fund, applicants may receive up to 50% of eligible project expenses to a maximum $50,000 for concept definition projects, or $250,000 for digital media production. To apply for the Interactive Digital Media Fund, companies must submit a comprehensive application package that details their company and proposed project. For both streams of funding, applications must be received by a deadline. What is the Interactive Digital Media Fund? The Interactive Digital Media Fund is a primary support mechanism for Ontario-based developers of interactive digital media content including software and other gaming products. As administered by Ontario Creates, the government funding program is comprised of several streams of funding support. 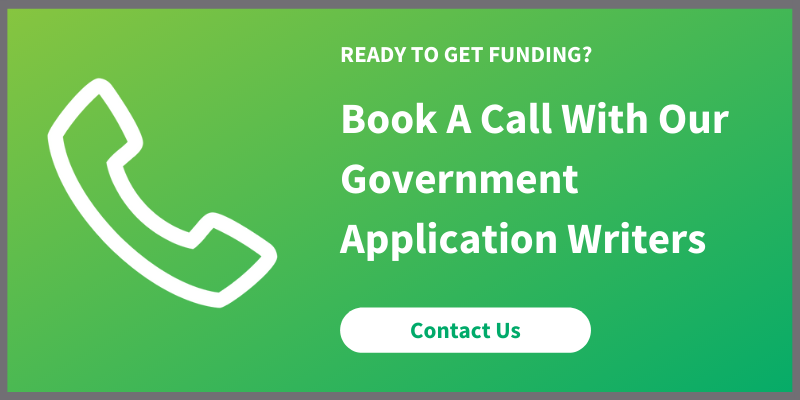 Offers Ontario government grants to support early-stage activities such as prototype creation, preparing pre-production documents and concept pitches, and business planning. Through the program, applicants will move towards the production stages of a market-ready product. The Interactive Digital Media Fund’s Concept Definition stream provides up to 50% of expenses to a maximum $50,000 per project. Supports the creation of market-ready content that will be released/sold to end users after production is complete. This includes developing video games, mobile applications, websites, and web series. Through the Interactive Digital Media Fund’s Production stream, applicants may receive up to 50% of expenses to a maximum $250,000. At least 50% of company revenue in the last 2 fiscal years has come from publishing activities and other brand extensions (trade shows, website development, television). Be in a stable financial situation and have financial documentation to support claims. Have an owner or full-time employee with a minimum three years of professional experience in digital publishing or interactive digital media development. Be able to incorporate immediately if application is successful (businesses can be approved but cannot receive funding until incorporated). Are not for the general public and/or are offensive. Interactive Digital Media Fund Application Deadline: Discover when your business should apply for Interactive Digital Media Fund government grants. Interactive Digital Media Fund – Global Market Development Stream: Learn how to receive Ontario government funding for export marketing projects. The Interactive Digital Media Fund supports the intake of applications through a bi-annual call for proposals. To access funding, software and digital media developers must submit an application through Ontario Creates’ online portal on or before an application deadline. To access the Interactive Digital Media Fund, media developers should apply by the program’s upcoming April 8, 2019 deadline. Comprehensive application packages are typically up to 40 pages or more in length and should clearly show the number of jobs expected to be created/maintained. Applications are usually reviewed within 12-14 weeks. To learn more about how your project’s eligibility for the Interactive Digital Media Fund and optimize the application process, please contact Mentor Works. Posted: September 10, 2015. Updated: April 3, 2019.